Ours was founded on outstanding service. It all began in 1974 at our first Passover Hotel holiday celebration, at Chalet Vim in Woodbourne, New York. Fulfilling the Jewish Kosher family's growing demand for an all-inclusive, superior-quality Passover Hotel experience, Mendy combined his considerable prior hotel management experience with his terrific flair for 'pulling it all together', and 'Mendy Vim's Holidays' was born. And so our Passover tradition began. Forty five years later, our decades-long tradition of caring and experience is deeply embedded in every Passover program and is evident in everything we do. And the Vim family, children and grandchildren, continue Mendy's tradition of excellence in Passover hospitality. It's no surprise that many of our guests keep coming back! 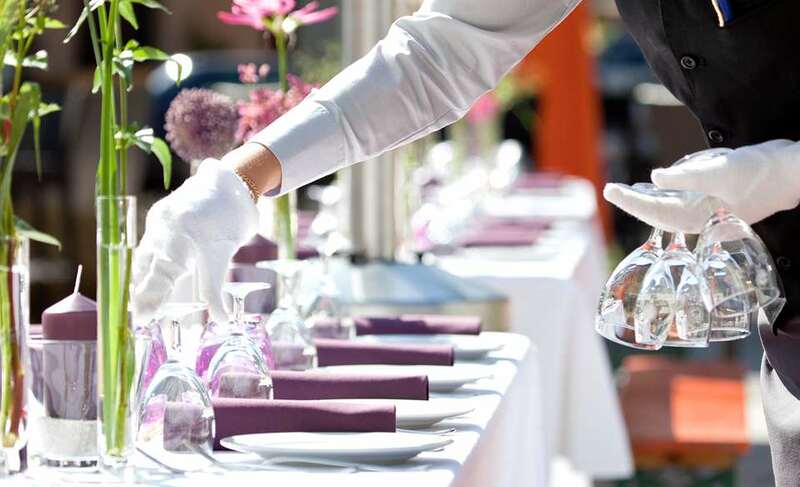 From Maine to Savannah, or Newport to Colorado, at each inspiring locale we pay close attention to your every detail with attentive immaculate service. Our many guests, from the tri-state area, Boston, Maryland, California, and abroad return to us each Pesach to relive their special memories, and to create new memories once more. Blessed with the 'personal touch', Mendy (and our team) treat each guest as part of our family, with a warm and intimate atmosphere and meticulous attention to your needs. Do you have a special request? Can't find your activity? Do you need special seating? Our professional staff take pride in enhancing your Pesach Yom Tov experience; We're here to help. Our gracious hospitality hostesses, dining room hostesses, and immaculate wait staff are experienced in providing the utmost in service. And for larger groups that opt for private dining, we offer your own personal and dedicated maitre d, with individualized dining service. Whether it's your first year with us or your second, fourth, or thirtieth, we look forward to welcoming you to an incomparable holiday experience. Let us give you a chance to settle in, celebrate, relax, and reconnect with your loved ones, for isn't that what traditions are all about? Rabbi Dr. Glatt is the Associate Rabbi at Congregation Anshei Chesed and Assistant to the Rabbi at the Young Israel of Woodmere. He has been giving a Daf Yomi shiur for almost 25 years, and also gives a weekly gemara be’iyun shiur, daily halacha shiurim, as well as many other classes. Most recently, he began a daily on-line Mishnah Brurah Yomi Shiur through OU Torah. An international lecturer on medical and halachic issues, Rabbi Dr. Glatt has authored two seforim, Visiting the Sick: A halachic and medical guide - with down to earth advice, and Women in the Talmud. (both available at www.artscroll.com) He received semicha from HaRav Avraham Tzvi Wosner, shlita, at Machon LeTorah Vehora’ah. 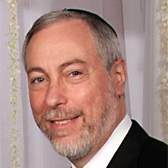 Rabbi Dr. Glatt is a board certified infectious diseases physician and is currently the Chairman of Medicine at South Nassau Communities Hospital and a spokesperson for the Infectious Diseases Society of America. Previously, he was the head of Mercy Medical Center in Rockville Center, and President & CEO of St. Joseph Hospital, both part of Catholic Health Services of Long Island. He has also served as a full Professor of Clinical Medicine and former Associate Dean at NY Medical College. No picture here, he's camera shy, or more likely so busy taking care of everything, he doesn't take the time to stop for a photograph. Those that know Mendy are familiar with his winning personality and his personal attention to every guest, many of whom become life long friends. We all know about his considerable hotel management and Passover Program experience, and have seen first-hand his incredible finesse. An indefatiguable bundle of energy with a calm and smiling demeanor, Mendy is most notable for his 'heart', he truly cares, and we're all reminded of it when he remembers our grandchildren's names or the minutest preferences we've told him in previous years. No bio of Mendy is complete without mentioning his wonderful wife, Pauline (Peshie) and his equally wonderful children and grandchildren. Warm, friendly, capable, and attentive, they all pitch in with their contributions - and our Passover guests benefit! Daniel has worked at Mendy Vim’s Holidays alongside his grandfather, Mr. Vim, since he was nine years old. He currently resides with his family in Israel and has served with distinction in the Israeli Air Force. Along with his wife, Sara, Daniel works for Darkaynu, a post high school gap year program for young adults with special needs. Daniel and Sara spend their summers at OHEL's Camp Kaylie, a camp that integrates children with various disabilities into bunks and activities with their mainstream peers, where Daniel is the Aquatics Director & Israel Staffing Coordinator and Sara is a member of the educational staff. Daniel, our capable Maitre d', also serves as Mendy's right-hand man, and assists Mendy in running our entire Passover program. Sara Tanen was born in London and made Aliyah at the age of 12. A graduate of Herzog Teachers College in Gush Etzion and Matan's Bellows Eshkolot Educators Institute in Jerusalem, Sara has been a member of staff at several institutions including MMY, Baer Miriam and Darkaynu where she has taught and assisted in Tanach studies. Sara spends her summers at Camp Kaylie where she a member of the educational staff. In addition to teaching, Sara has worked as a tour guide in Jerusalem's Old City for the family oriented tour company Israel Scaventures. 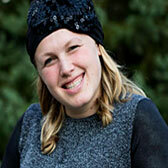 Sara Tanen will be hosting a series of lectures based on N"ach at our Passover program. 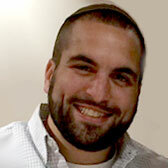 Chazzan Nachman Schneider currently serves as the cantor of Congregation Beth El of Brooklyn. 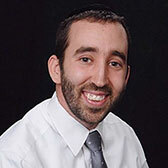 Having assumed his first cantorial position at the age of seventeen, he has also held cantorial posts at prestigious congregations such as Young Israel of Lawrence-Cedarhurst, and Shomrei Emunah of Brooklyn. In addition to his regular position, he routinely accepts engagements as a cantor-in-residence in a wide variety of settings including Park East Synagogue, Synagogue for the Arts, and Mendy Vim’s Holidays. He also officiates at weddings, is a featured artist at various organizational functions and fund raisers, and gives nusach lessons as his schedule permits. Cantor Schneider’s tenor voice is well suited for the cantorial tradition which he follows. His strict adherence to nusach, mastery of cantorial recitative, and diverse repertoire of congregational song combine with his “chazonishe krechtz” to evoke in listeners the memories and emotions of a bygone cantorial era. His familiarity with the style and spirit of the Golden Age of Cantorial Music does not preclude his own improvisation, which is, in fact, the centerpiece of cantorial art. Cantor Schneider will be leading the Seder and the davening for us in a stirring recital of his own memorable syle, as well as perfoming in a Karlebach style concert. Professor Naomi Klapper has been a college professor since 1986, has served as faculty at Yeshiva University, Stern College for Women, Sy Syms School of Business, and Lander College, and is the Director of Counseling Services at Lander College for Women, serving as their Life Crisis Intervention Counselor. She is a faculty mentor to Lander faculty, and is frequently consulted on psychological aspects of Metropolitan Jewish community affairs. 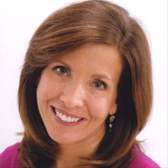 In addition to teaching, Naomi Klapper is a licensed clinical therapist and maintains a private practice in Manhattan. Professor Klapper has lectured throughout the tri-state area on a myriad of topics related to Parenting, Relationships, Marriage, and Wellness. She is the recipient of several teaching awards, including the “America’s Top Teachers” award. 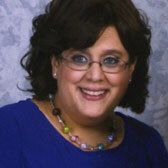 Professor Klapper resides in Teaneck, New Jersey with her husband and four children. Rabbi Dr. Chesky Gewirtz is a clinical psychologist and a teacher of Torah. He is currently an outpatient psychologist, providing individual and group psychotherapy, and the director of psychological testing at New York City Health+Hospitals/Queens, where he also supervises and educates doctoral trainees. Rabi Dr.Gewirtz specializes in treatment of anxiety for children and adults and works in a specialized anxiety clinic. He has held a variety of Jewish communal positions, including serving as a pulpit rabbi in North Woodmere, NY, teaching in yeshiva elementary and high schools, and working as head counselor in a number of sleep-away camps. 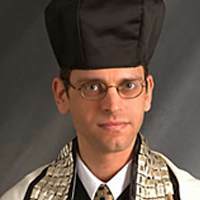 He has rabbinic ordination from Rabbi Isaac Elchanan Theological Seminary (RIETS) , a Master's in Jewish Education from Yeshiva University(YU)'s Azrieli Graduate School, and a doctorate in clinical and school psychology from YU's Ferkauf Graduate School of Psychology. He has published articles in both Torah and psychology and has received awards for his research in the field of psychology and religion. Rabbi Dr. Gewirtz has lectured in many communities around the U.S. often integrating the disciplines of Torah and psychology together. Rabbi Dr. Gewirtz, his wife Aliza and three children reside in West Hempstead, NY, where he gives a weekly chabura on Parsha and Halacha. Rabbi Dr. Gewirtz will present lectures and workshops at Mendy Vim's Holidays and serve as our teen program coordinator. Ann D. Koffsky is the author and/or illustrator of more than thirty published books, including Noah's swim-a-thon and Judah Maccabee Goes to the Doctor. She is also an editor and art director at Behrman House Publishers, and has been a vocal advocate regarding the exclusion of women’s pictures in Jewish media. Previous to her position at Behrman House, Ann was an adjunct professor of art at Stern College for Women.Several of her books have been PJ Library selections and her work has been been featured in The Washington Times, The Philadelphia Inquirer, Jewish Action Magazine, Mishpacha Magazine, and Hadassah Magazine. Ann will be presenting our guests with inspiring lectures and craft based workshops, such as paint night, zentangles, coloring for adults, and paper cutting techniques. Ann lives in West Hempstead, NY with her husband and three children. Meet Executive Chef Michael Krakanovski, fondly known as Mikey to appreciative gourmands worldwide. 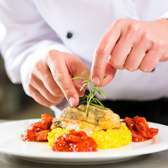 Mikey is a Tadmor Culinary School graduate (Israel) with over three decades of culinary experience, and has worked for intercontinental hotel divisions, in the Hotel Edelweiss in the Swiss Alps, and in the finest hotels and restaurants in Israel, along with parts of Europe. Currently working in New York City, Michael presides over our Passover kitchens and delights our guests with one exquisite dish after another. He continually presents us with deliciously prepared timeless favorites, unusual new dishes, and new twists on traditional dishes. 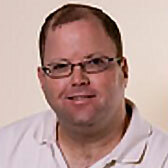 Mark Infield is a CPR and EMT Instructor, a member of the Volunteer Ambulance Corps and a member of the Physical Education faculty at the Frisch School in New Jersey. Mark earned a BS in Music Education from William Paterson College and is a professional musician and a long-time performer at many programs and events, as well as Mendy Vim's Holidays. Sam & Ethel will once again be joining us with great programming of family fun activities, trips, and Chol Hamoed excursions. They add enjoyment to the Pesach program with their fun-filled activities. Fondly known as 'Morah Ruthie' by her many admirers and former students, Ruthie brings her lively enthusiasm and total professionalism to everything she does. A beloved former teacher in the early childhood department of Moriah School in Englewood N.J. for over 18 years, Morah Ruthie has in the past directed Day Camps at Kosher hotel events and venues, as well as run her own playgroup. Morah Ruthie is delighted to join us for her eighth year as Director of the Mendy Vim Pesach Day Camp at the Heritage Resort, and is looking forward to a wonderful Pesach with your children and grandchildren. Highlights from some of our favorite Passover program destinations. Originally as owner & operator of Chalet Vim in upstate New York, Mendy Vim founded Vim's Holidays over 40 years ago. In successive highly successful years at various locations, Mendy has set a new benchmark for excellence in Kosher Passover Hotel vacations and has delighted hundreds of families with wonderful Passover experiences . 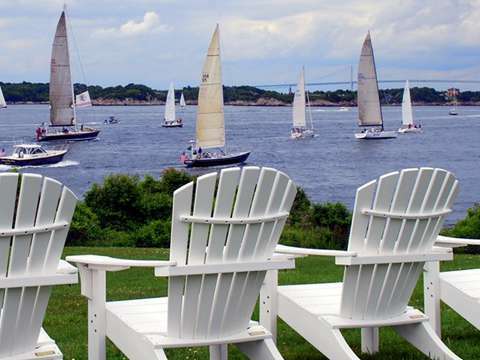 Newport, RI - Mendy Vim serves up Passover at the award-winning Viking Hotel atop Newport's Historic Hill, with breathtaking views of the sailing capitol of the world and just minutes from the waterfront, famous Newport Mansions, and nearby historical colonial sites. Sunny skies, secluded beaches, friendly people and mouth-watering cuisine: A great Passover program at every vacationer's paradise. Passover in Virginia Beach was so popular with our guests, we hosted an encore program here for Passover 2000. 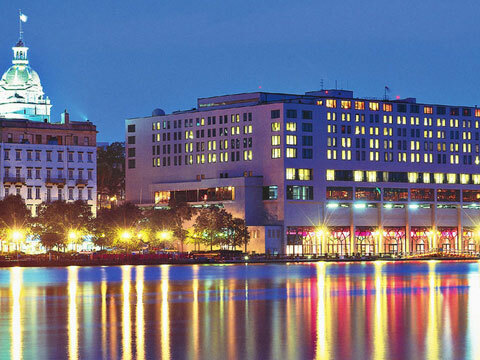 Savannah, GA - Georgia's oldest city and its historic district waterfront play host to a very special Vim's Passover at the riverfront Savannah Hyatt Regency. Cobblestoned streets and stately Georgia homes, antebellum architecture and riverboat rides - an enchanting Passover filled with genuine Southern charm. 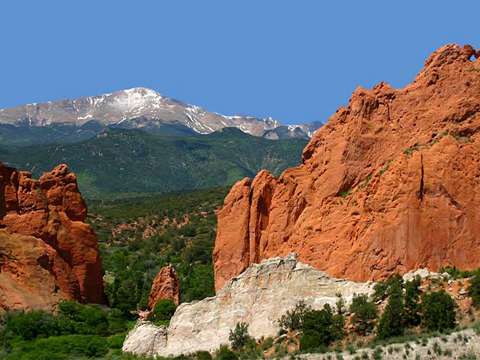 Colorado Springs, Colorado - Vim's Holidays heads west for Passover to the Adamsmark in CO. Sky-piercing peaks and mythic fly-fishing waters, Pikes Peak National Forest, Red Rock Canyon, skiing & outdoor activities for the most avid sportsman amidst an elegant Passover celebration. Also 2001, Passover at Hunt Valley Marriot, MD and Hyannis Port, Cape Cod. 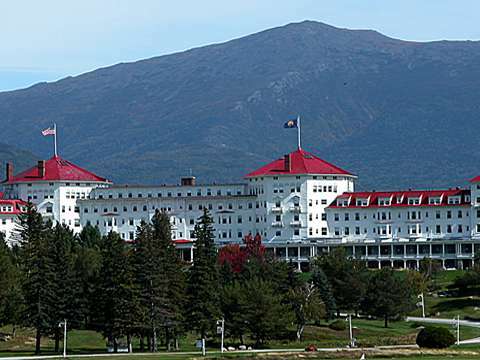 Bretton Woods, NH - Some of the most beautiful scenery in the eastern United States is home to the Mount Washington Hotel, atop New Hampshire's famed White Mountains. Visited by Presidents and celebrities alike for generations, this magnificent resort also played host to our Passover programs in 2003 and 2004. 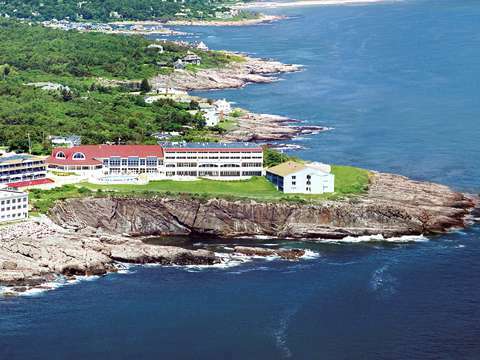 Ogonquit, Maine - Perched on a cliff top in pristine unspoiled Maine, a sumptuous Passover with seaside dining, vanishing edge swimming pools, health club & world class Spa, pounding surf, and private cliff walkways, and every room overlooking the Atlantic - a spectacular Passover hotel with awesome scenery. 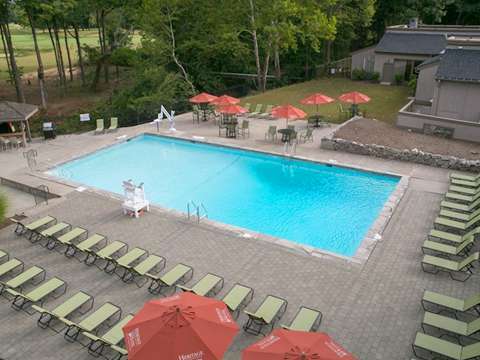 Tucked away in NW Connecticut's Lichfield Hills, the Heritage Resort boasts championship golf, indoor and outdoor pools, Riverwalk health club, Spa, tennis and rock gardens- the perfect setting for a week-long Passover celebration of our traditions. An ever popular destination, we reprise our Passover program at the Heritage for 11 years, including Passover 2019. Cape May, NJ - Victorian Cape May at the southern tip of New Jersey- a sun filled, fun filled, oceanfront family Passover holiday program at The Grand Hotel. 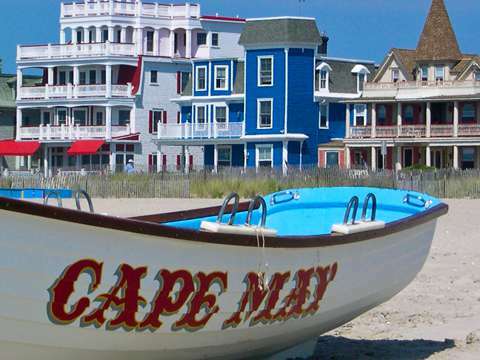 A treasure trove of exploration- by trolley, surrey, pirate ship, horse-and-buggy or on foot, Cape May's fabled Victorian homes, historic lighthouses, and miles of sandy beaches were a delight! Saratoga Springs, NY - A unique boutique Pesach in upstate NY , The Gideon Putnam Resort, a gorgeous landmark hotel set within stunning Saratoga Springs Spa State Park. 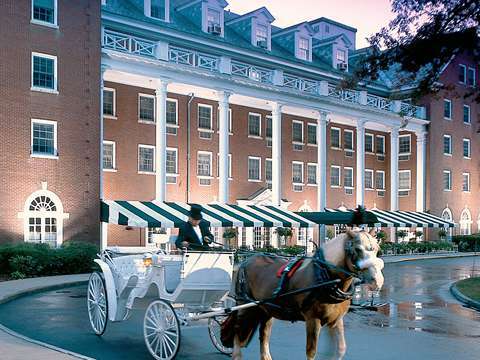 Featuring spouting geysers, horse drawn carriage rides, world famous Roosevelt mineral baths and Spa, miles of hiking and biking trails, and an iconic georgian-style Landmark hotel lovingly restored to its original elegant charm. 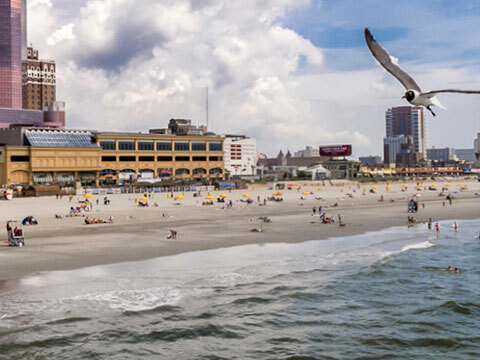 A superb Atlantic City location right on the boardwalk. 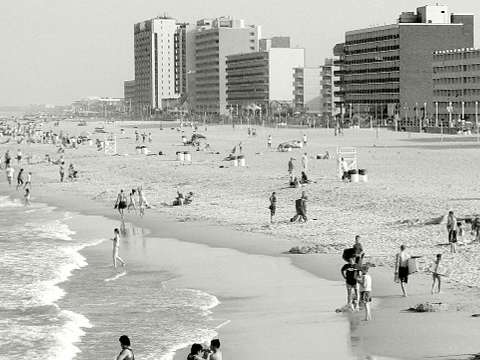 Sunny days, balmy breezes, an historic luxury hotel reminiscent of the 'Boardwalk Era', a beautiful ocean front ballroom with floor-to-ceiling windows overlooking the boardwalk, Chol Hamoed Passover Walkathon on the boardwalk to benefit Yad Eliezer, and everywhere you look, the deep blue sea. 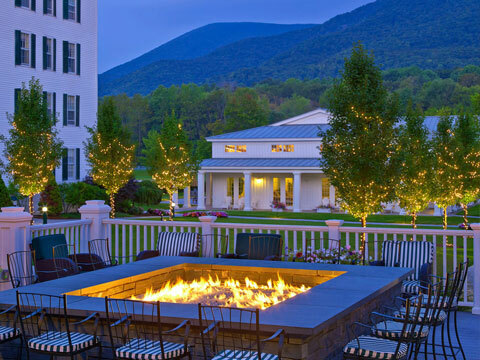 Manchester Village, Vermont - AAA four diamond resort with premier golf and breathtaking scenery, perfect for revitalizing body and spirit. A National Register of Historic Places icon with a 238-year history as one of America's most historically significant lodgings and member of the glittering Luxury Hotel Collection, the Equinox offered our guests off-road Land Rover driving, Orvis flyfishing, hiking on Mt Equinox & local-ingredient-inspired Spa treatments; A Passover program set in a bastion of revolutionary history with world class accommodations. At an all-inclusive kosher Passover resort, Lilit Marcus found herself forging new friendships and rethinking the meaning of the Jewish holiday. On Friday afternoon in early April, the lobby of the The Gideon Putnam hotel in Saratoga Springs was buzzing with activity. But it was a little different than the normal weekend rush to check in and unpack. To start, there were two check-in desks: the usual, where a young woman in a Gideon Putnam polo shirt ran guests’ credit cards and handed them keys; the second, a card table off to the side, where employees of a third-party company, Mendy Vim, were holding clipboards full of family names and checking people off with pencils. There was much to do before the sun set. Passover (Pesach in Hebrew), one of the most beautiful and symbolic Jewish holidays, was about to begin, and the Gideon Putnam was gearing up to host its first-ever Passover retreat. For observant Jews, the first two and last two days of the eight-day holiday (seven in Israel) are “yom tovs,” similar to the Sabbath, meaning they can’t use many modern conveniences like phones, computers, and electric kitchen appliances. Add in the cooking, the cleaning, and the childcare, and it’s too much for some families to handle. Enter Passover resorts and cruises, where third-party companies take over cruise ships and hotels, make them kosher for the week, and turn the holiday into a vacation for Jewish families. 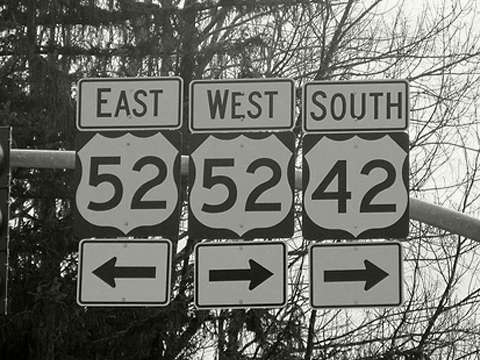 Many make the trip from New York City to Saratoga Springs, just a few hours north, where they can share the story of the Jews’ exodus from Egypt over the traditional seder meal.